I just put up a web slideshow version of my dissertation based on my exit talk that I gave upon graduating from CU. 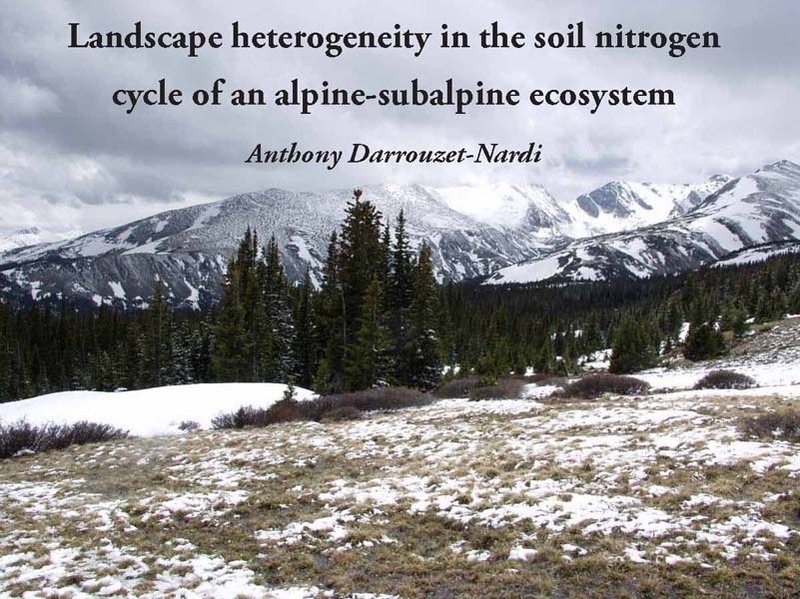 I hope it will be useful for future students working on Niwot Ridge and anyone else curious about nitrogen cycling or biogeochemical hot spots. It features some of my best photos and graphics from my work in the Colorado Front Range and is annotated with descriptions of the project.